Here at Unique, the tech enthusiasts we are, we love nothing better than to install a great looking visual display that enhances the presentation environment – be it within a classroom, in a meeting room, or in an executive boardroom. The level of detail we strive shows with the products we use for installation. 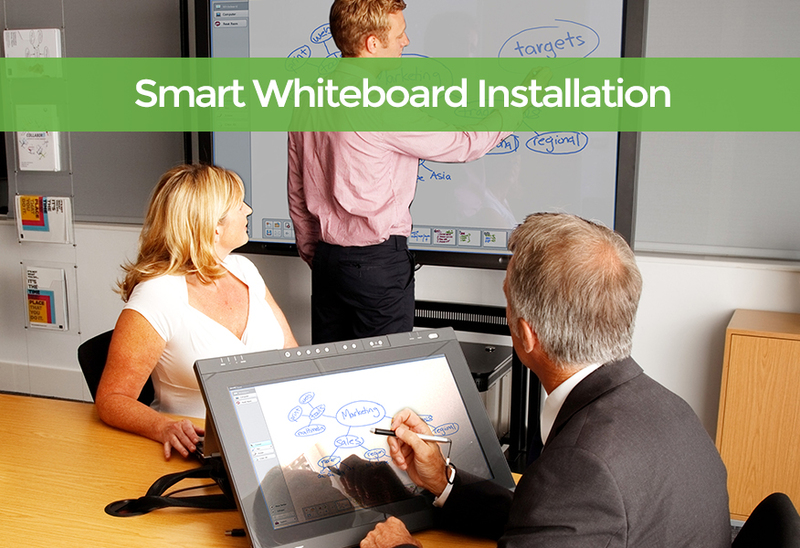 We’re experts in finding the best value for money with smart whiteboard installation, our long term suppliers understand the market and pass on this knowledge to our technicians. The large panelled display screen is perfect for smaller rooms, helping bring presentation content to life with high quality HD visuals, delivering a high quality learning experience. The products we use are have best quality ink experience on the market, for the most natural, fluid and responsive digital ink experience. Commercial standard display ensures both presenter and audience can see the screen easily, aiding to maintain audience focus, and therefore better engagement. With enhanced multi-touch, users can simultaneously interact and collaborate using multiple touch points for Windows PCs and Apple Macs with integrated trackpad gesture control. Send an enquiry below and we’ll get back within 24 hours.